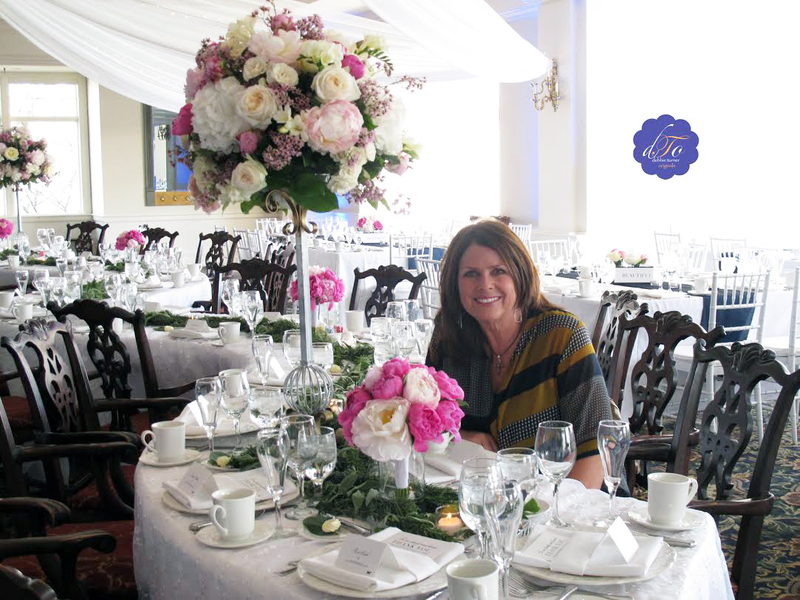 Debbie Turner has been a successful, upscale floral designer since the early 1990’s and is internationally known for her legendary floral arrangements in designing events and weddings. In addition to fresh cut flowers and silks for every occasion, Debbie also designs artful planters and small gardens for homes and commercial properties in the western suburbs of the Twin Cities. In 2017 she was chosen to be one of the volunteers to design ‘The White House for Christmas’, being tasked with the People’s Tree, the tallest tree in the Blue Room of the White House. In 2016 another notable job was being asked to design the flowers for the Memorial Reception for the late rock legend, Prince. In 2011, she was chosen as one of three Float Judges for the Pasadena Tournament of Roses Parade, and in 2008 was one of four floral designers chosen to do the flowers for the Republican National Convention in Saint Paul, Minnesota. Besides designing flowers and gardenscapes, Debbie has been commissioned to make handmade Santa Claus dolls to fit your personal theme. For more information click on the SHOP.